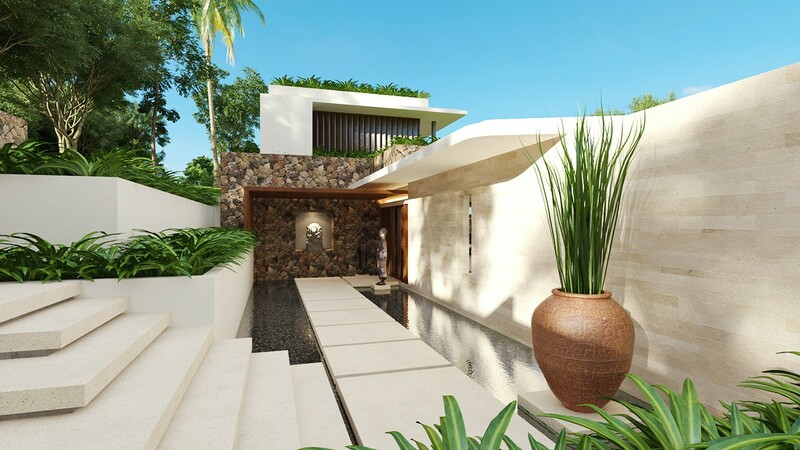 Featured Properties at Tanjung Ocean View are villas and developments highlighted here because of their outstanding design or unique quality of construction or design. 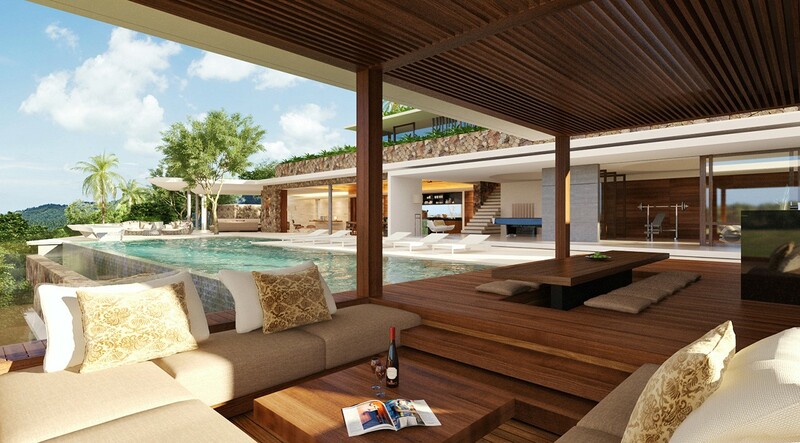 “Villa Bliss”, shown below, is a magnificent upscale villa situated on plots 16 & 17 and the first home built at TOV. The villa was designed by Gary Fell of GFAB Architects in Bali, Indonesia and was commissioned by its original owner Theo Dandine. 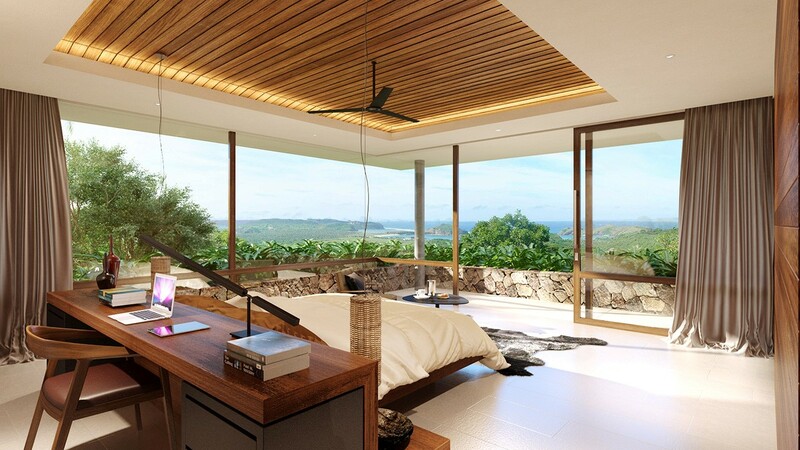 This inventive luxury residence was designed and sited to take full advantage of the spectacular white-water ocean views of Gerupuk and Tanjuna A’an bays. 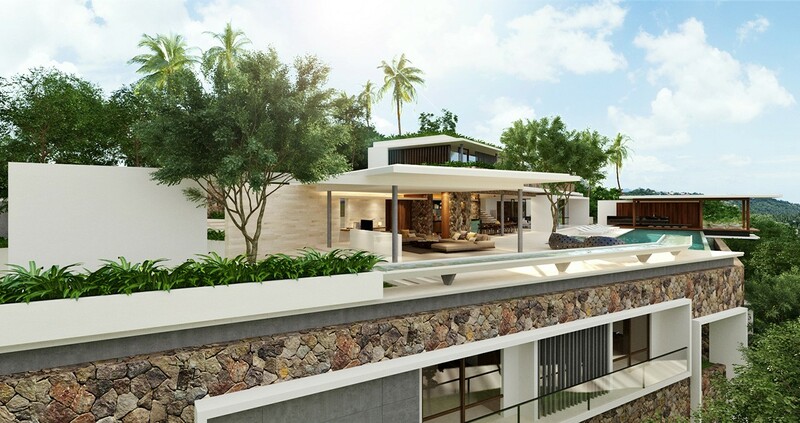 As the first villa built at Tanjung Ocean View, it successfully established the gold standard for design and construction in the TOV development.